Racing means that we have to have the car “street legal” plus able to pass technical inspection and, as far as we are able to determine, feel we are likely to make it all the way to the end of one of the hardest races around. We are theoretically also supposed to be physically and mentally prepared for roughly 14 hours of competition, which looks a lot like going as fast as you can through a forest on semi-frozen gravel all day and ends with going as fast as you can through a forest on mostly frozen gravel at night. Yeah! We’ve been working pretty hard on the car for a while and overall it’s taken about 18 months, although it may seem longer. It does to us some days. However, we are very close to having a car in the normal sense of the word, in that we can drive it places now – at least on private property – and hope to have it mostly put together, appraised, registered, insured, plated and on the road in the next 10 days. That gives us a whole week to get used to driving it! And to tune it using the DSM Tune and a laptop. It’s almost like a dyno, right? (We will eventually dyno tune it, but sometime AFTER Nov 29). The above shows the rear tow point (cheap! 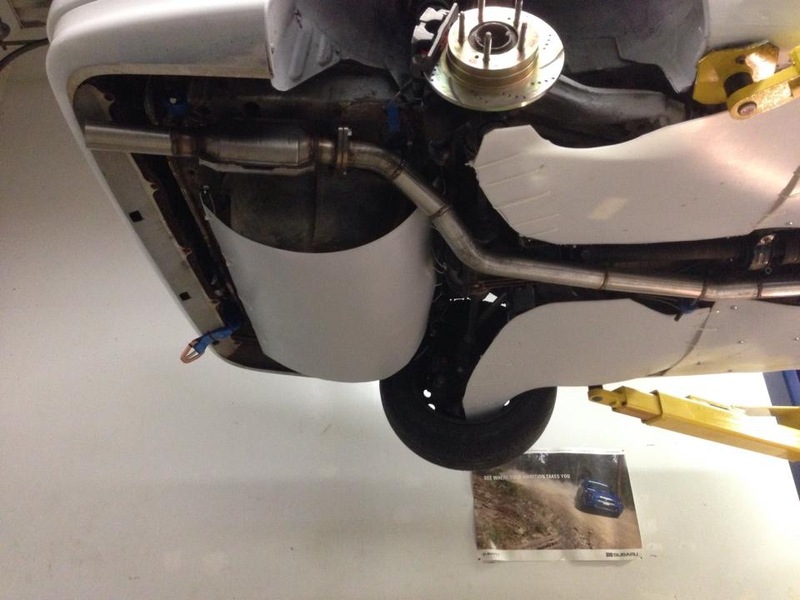 ), the HDPE covering the gas tank, the HDPE covering the rear control arms, and shocks, and the custom built 2.5″ exhaust and high-flow cat. Also the rear EBC brake rotors look pretty cool here, and you can almost see the scrapers that Ryan built to clear gravel out of the back wheels. Apparently it tends to build up there in AWD cars. The Lada did not have this problem. Here’s a good shot of the scraper. It mounts to the rear caliper and depending on the rim either has that little bit of HDPE (the white bit in this picture) or not. Ideally it does as that’s the bit that is supposed to wear, but clearance varies by rim type. The mid-section of the HDPE guards; this is riveted to the floor (the rear is zip tied) and tighter. 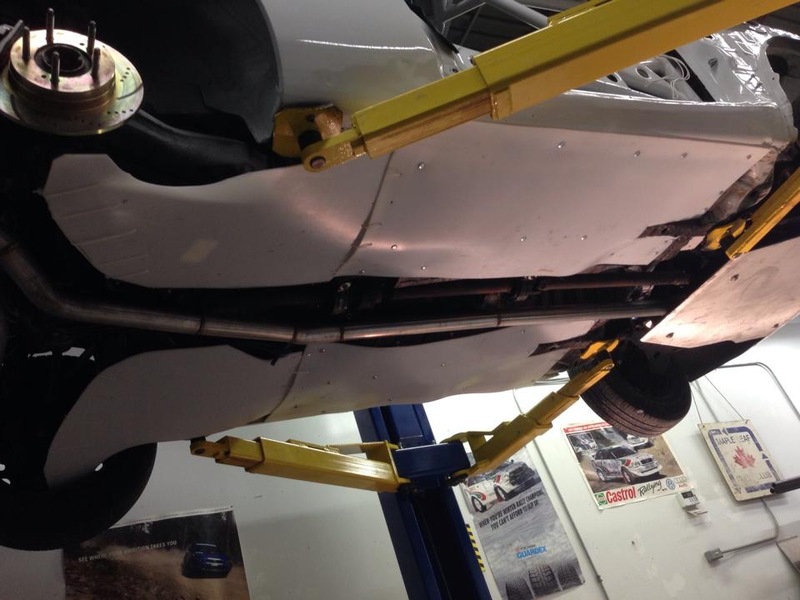 Plus more exhaust, and you can see the front skid plate. More of the mid and front protection. 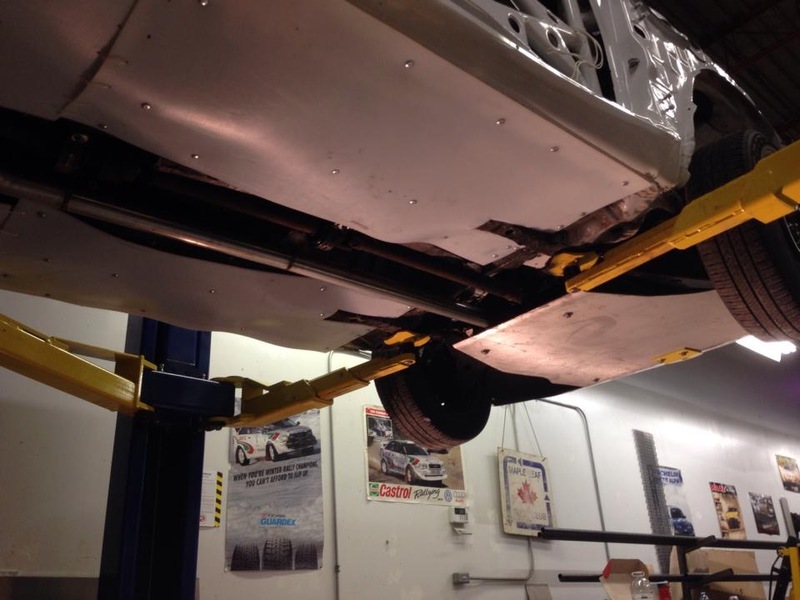 You can just see the front tow point on the skid plate, also, painted yellow. 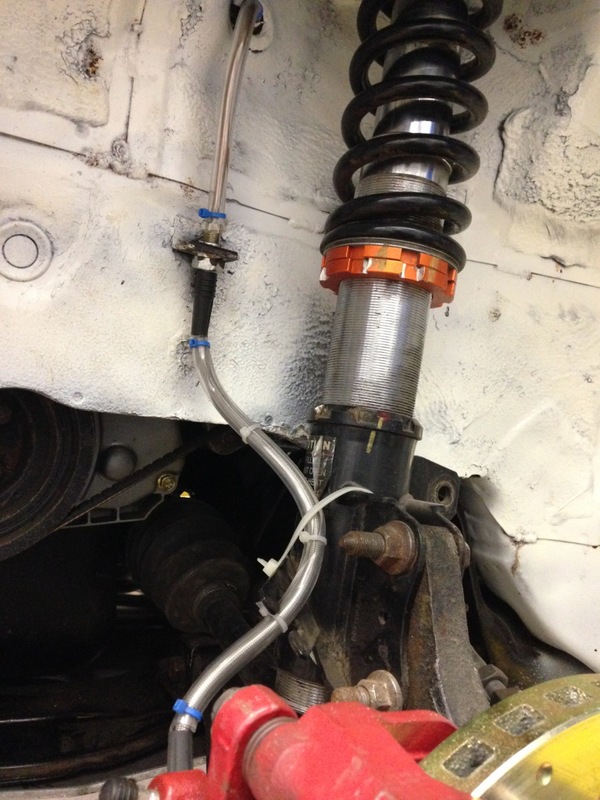 Our front brake lines; hard upper and braided lower but entirely wrapped in hose for our protection. Plus it gets the zip tie count way up there, as we did all the lines that were in any way likely to contact anything else this way. We still have to play with the shock settings once we can drive the car, though. 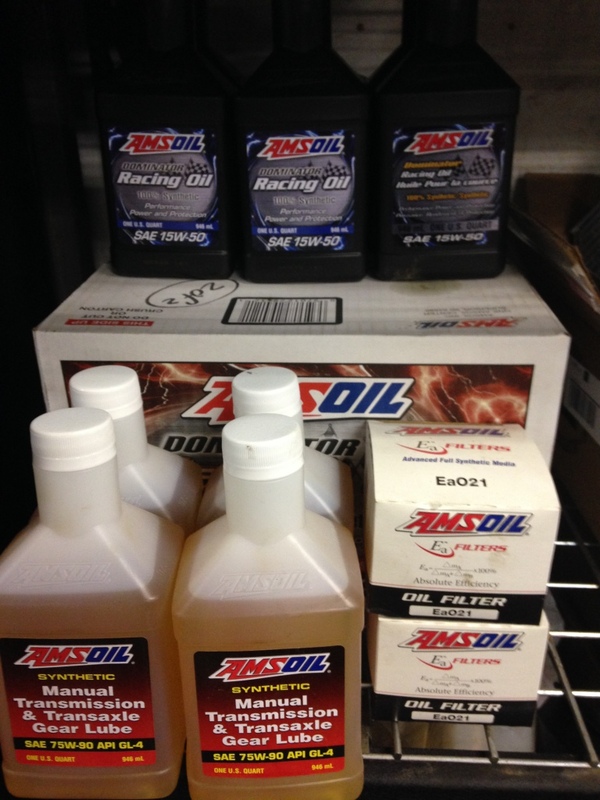 It’s motor oil, gear oil, and filters! We used regular stuff to break the motor in but will be swapping it for this stuff once we’ve cleaned out the re-used parts (diffs, transmission) and broken in the motor. 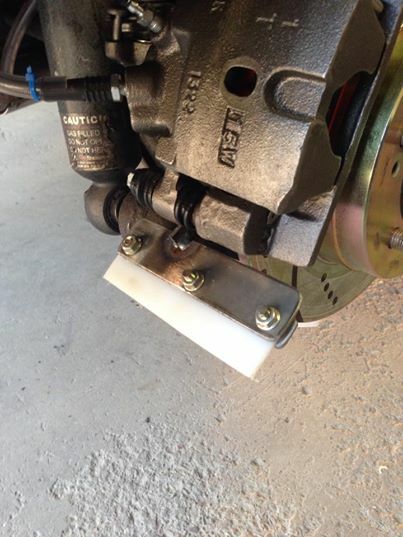 We used the good stuff in the transfer case to start. 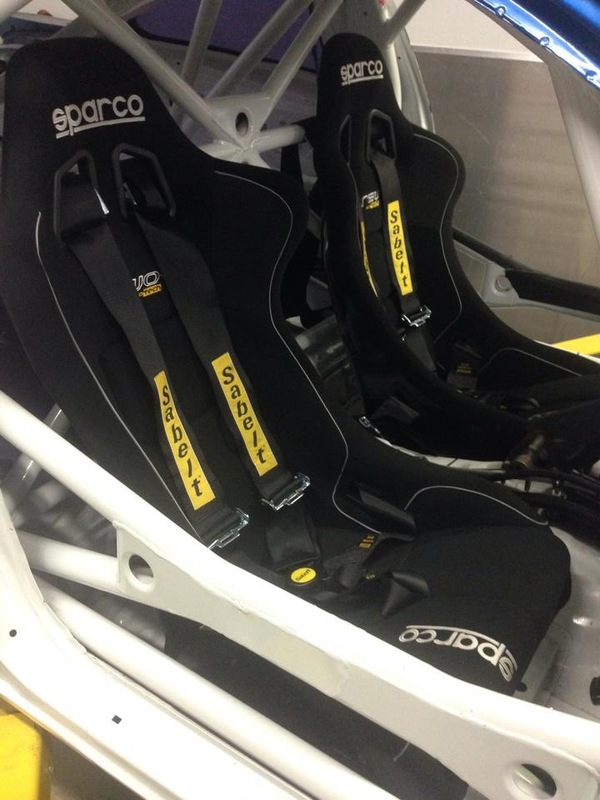 You can get yours from HSL Rallysport, at least once Paul comes back from his world travels. 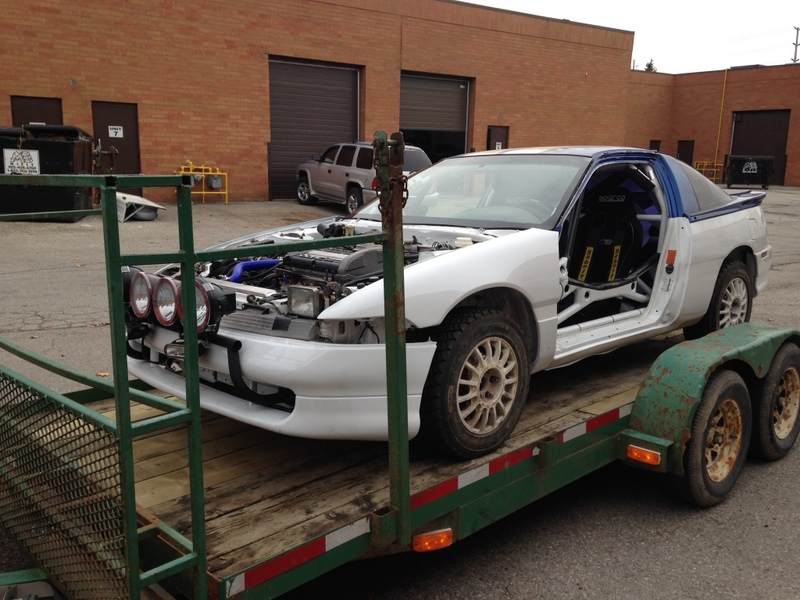 The car on its travels back from Rally/Race Developments to ORF in Alliston. 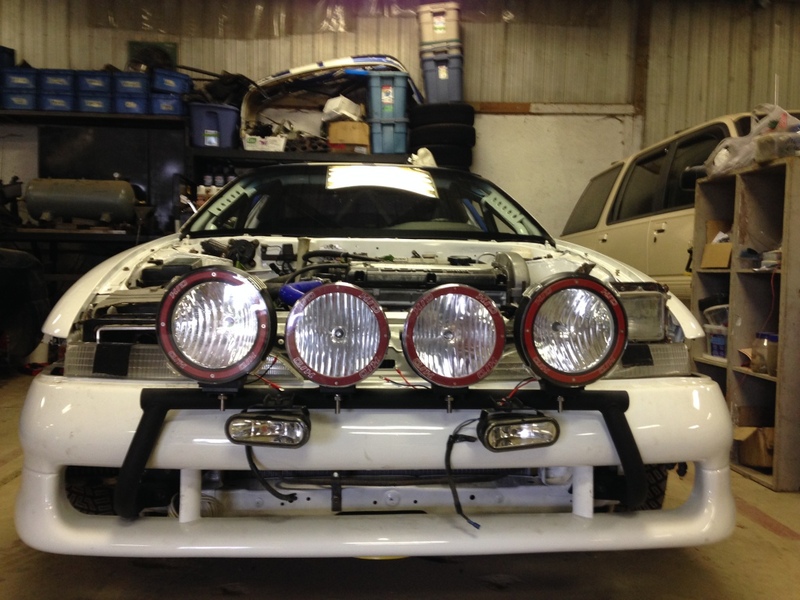 As noted previously, the HID race lights (also available from HSL Rallysport) look boss on Ryan’s light bar.